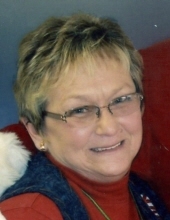 Mrs. Evelyn Rebecca Womack, age 73, of Cedartown, GA passed away Tuesday, October 9, 2018 in a Rome medical center. She was born in Cedartown, GA on June 3, 1945, a daughter of the late Jack Washington Yarbrough, Jr. and the late Mary Wills Yarbrough. Mrs. Womack lived all of her life in Polk County where she was a former employee of Engineered Fabrics for 20 years. She then went to work for Anheuser-Busch where she retired after 15 years of service. Mrs. Womack loved to cook and enjoyed sewing. Survivors include her husband of 55 years, Terry Womack of Cedartown, to whom she was married on February 15, 1963; and her daughter, Melindy Gaiser and her husband, Brent of Cedartown. Memorial services will be held Saturday, October 20, 2018 at 2:00 PM in the chapel of the Alvis Miller & Son Funeral Home with Rev. Jeff Hulsey officiating. The family will receive friends Saturday afternoon from 1:00 PM until the service hour at the funeral home. The Alvis Miller & Son Funeral Home is serving the family of Mrs. Evelyn Rebecca Womack. To send flowers or a remembrance gift to the family of Evelyn Rebecca Womack, please visit our Tribute Store. "Email Address" would like to share the life celebration of Evelyn Rebecca Womack. Click on the "link" to go to share a favorite memory or leave a condolence message for the family.